According to AT&T’s SVP of emerging devices, Chris Penrose, “the car is the ultimate mobile device.” It shouldn’t be a surprise that such a statement would come out of the country that worships both cars and mobile phones, but is Penrose correct in his assumption and what issues does the marriage of these two symbols of mobility raise? There is certainly no argument against having a car’s remote sensors and control unit connected to a central base to warn of impending malfunctions or even correct them ‘over the air’ if something does go wrong. What is unnerving is all the ‘extras’ companies like AT&T are talking about offering to the people inside the ‘connected car’ that becomes worrying. We will surely see a number of vendors offering kits to connect older vehicles to this new technology but the driver (excuse the pun) will not be vehicle monitoring but a means to sell apps for any number of functions. 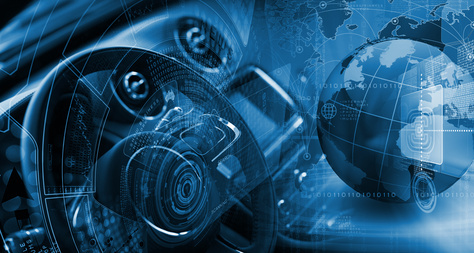 The GPS chipset in these devices will likely target occupants of the connected car who will be set upon with offers from nearby roadside stops, service stations and shopping malls. They will be offered entertainment packs for the kids to watch and connection to cloud services allowing work to be done on the fly (hopefully voice activated), amongst other distractions. Tyre companies, wiper blade makers, windscreen washer sellers, battery manufacturers will be some of the early movers to push their wares to drivers of any car needing them. Vehicles approaching ski reports will be besieged with offers for ski lift tickets, chain rental, accommodation, ski hire, etc. Those approaching a big city some distance from the car’s home will get hotel and restaurant offers, deals on parking, local events and the like. For those unfortunate enough to be a little heavy-footed they will either get warnings from traffic police that they are breaking the law or, worse still, have a notice flashing up on the dashboard that they just earned a hefty fine. And if they even attempt to drive their car after drinking heavily a sensor in the car, connected to an app of course, will prevent the car from starting. At the same time their location and condition will be beamed to police and their insurance company. It’s easy for CSPs like AT&T to get excited about the potential of the connected car becoming the ultimate mobile device but do they really think they will be able to offer all these revenue generating ‘services’ and keep them to themselves? The traditional owners in this space, the likes of Google, Apple and Amazon, may have other ideas. The car companies may want to keep their little ecosystem less than open and the newer players may not understand why they even need to involve a CSP. Penrose’ statement that ‘up until last year it was about providing basic connectivity and billing solutions’ may come back to haunt him. Unless his company and other CSPs learn how to get control of this new market they could find, as has happened in the past, that the OTT players will sweep past them and deal direct with end-user.